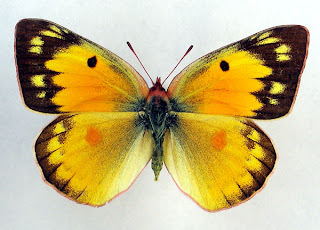 The Orange Sulphur (Colias eurytheme), also known as the Alfalfa Butterfly and in its larval stage as Alfalfa Caterpillar, is a butterfly of the family Pieridae, where it belongs to the "yellows and sulphurs" subfamily Coliadinae. It is found throughout North America from southern Canada to Mexico, but is absent from the central and southeastern USA. 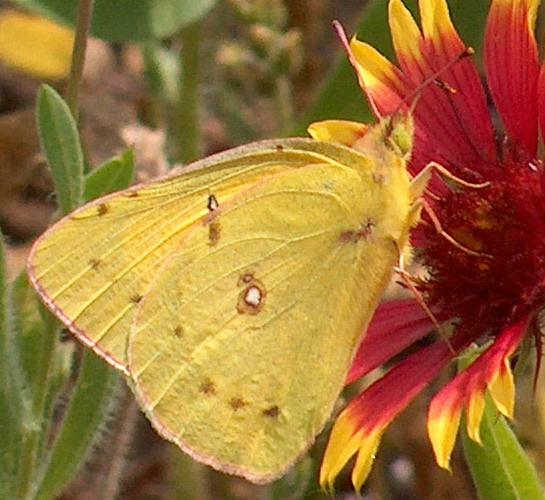 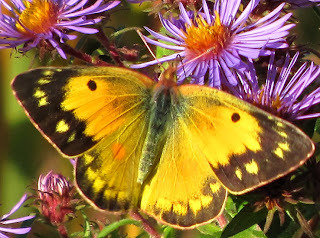 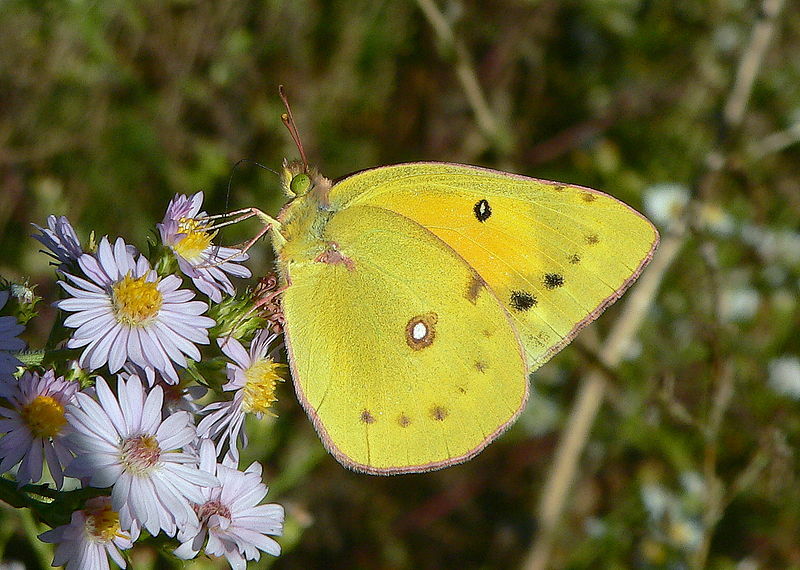 C. eurytheme belongs to a lowland group of clouded yellows (or as they are known in North America, "sulphurs"), Colias. Other members of this lineage including the Common or Clouded Sulphur (C. philodice) and Colias eriphyle and Colias vitabunda that are often included in C. philodice as subspecies.